My Mam was absolutely delighted with the portrait. She thought it was a photograph at first and she was blown away when I told her it wasn’t! You really captured Jess beautifully, not just her appearance but her spirt as well which will live on forever now through such a beautiful picture. There were some tears shed but I knew we would both end up crying when she opened it. Sema Martin of Ames Art Studio did an amazing job of crafting Baker’s likeness in a portrait that was a gift to my mom! 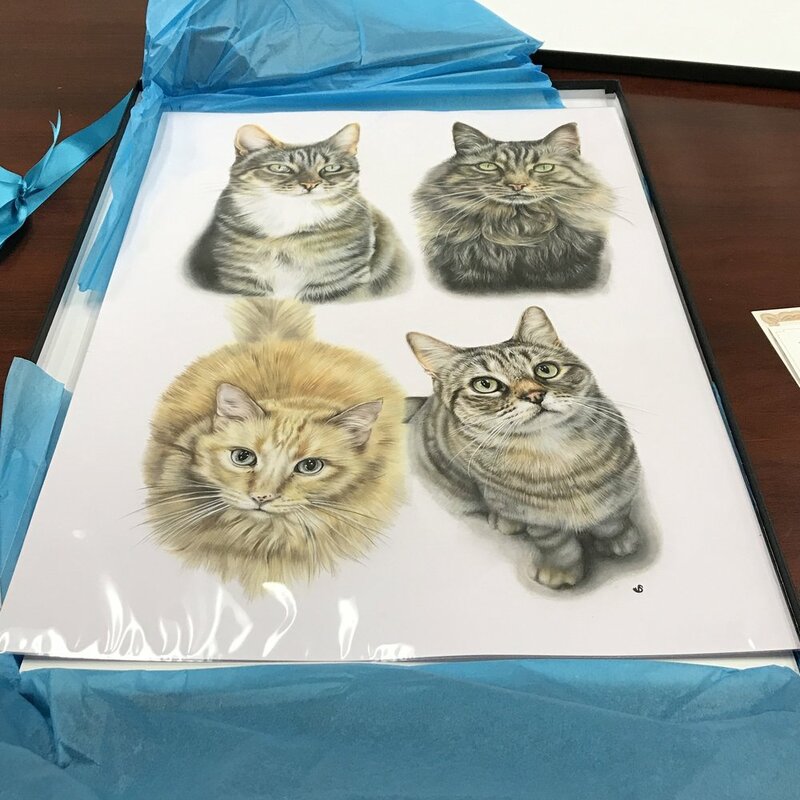 Not only does the beautiful piece of artwork resemble our cat, it also captures his personality and gentle manner! Many people who have seen the portrait commented on how soft and realistic his fur looks. It is a cherished memento of a much-loved companion!